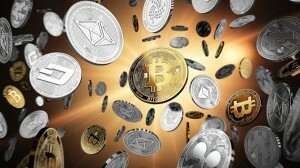 Bitcoin was 2017′s hot topic as the price of the cryptocurrency soared to new heights. The bitcoin price is still unpredictable though. As more people are trying to get in on the latest fad, it is best to be knowledgeable about it. It is good that you have something to invest on. No matter where or what you are investing in, it will help you make money for your future. Cryptocurrencies like Bitcoin is one of the good things where you can invest in. But before you start investing in it, you must have an idea about what it is. As a starter, you might ask, “What is bitcoin?” Basically, a bitcoin is a type of currency. However, it is not an actual coin nor a paper money rather, it is digital. Do not worry, though, as you can eventually withdraw it and convert it into real money. But the bitcoin price varies from time to time. In fact, as of writing, the current price of 1 bitcoin in 8,464.65 USD, meaning you can buy 1 bitcoin for that amount. Its price might increase or decrease tomorrow or even seconds from now, no one exactly knows – it is that unpredictable. But even if you now know what a bitcoin and how much does one bitcoin costs, there are still things that you should know. Before you should start bitcoin mining, here are a few tips. 1. Always bear in mind that cryptocurrency is a global market and it runs 24/7. Anyone from around the world can invest in cryptocurrency. And with different time zones that we have, expect that the market is active 24/7 – meaning, it never sleeps but you do. And since you do, you might not be able to keep track of the bitcoin price. That being said, you can use trading bots to automate your game plan. 2. Try to master technical analysis. Technical analysis is, as the name suggests, an analyzation of the price and volume data. By studying this, you can somehow predict the future trend so you will know when is the right time to buy and sell bitcoins. 3. Expect spikes on the bitcoin value, have patience, but stick to a strategy. Again, no one exactly knows when the price of a bitcoin increases nor what will its exact price be. Hence, there may be times when you will miss price spikes but always be patient and do not decide based on your emotions do not panic buy or sell and always remember your strategy. The world of cryptocurrency might be confusing to some. But with proper understanding and by setting your emotions aside, investing on it will be much easier.